Let’s say you’re an inventor who just finished creating what you believe is the single best can opener humankind has ever seen. It’s sleek. It’s smooth. It’s quick. And it never leaves that little chunk of uncut lid on the can. You think: This can opener is really going to change the world. But there are still so many questions you can’t answer. Would anyone buy this can opener? What’s the competition like? And most importantly, what’s this can opener’s current market value? For answers you could go to a big name consulting firm that specializes in technology commercialization. Or, you could ask a group of Johns Hopkins undergraduates who have been running their own technology commercialization company since spring 2007. The Hopkins Technology Commercialization Agency (HTCA) assesses the commercial value of intellectual property owned by private, university, and government-run research laboratories and makes recommendations on how to achieve the greatest value for these properties. And they do it for about one-third the cost of the big guys. Virani says HTCA is the nation’s first student-run technology commercialization agency. Clients to date have included the Johns Hopkins Applied Physics Laboratory, the Whiting School of Engineering, Askia Business Solutions, and private inventors. So far the company has done more than 30 reports on technologies ranging from military strategy protocols and optical communications to a social network strategy for teachers. For security and confidentiality reasons, Virani won’t name individual projects or clients. “We work on proprietary material we don’t own,” he explains. The company’s six student employees meet weekly to discuss new business, share research strategies, and assign projects. Then the student analysts take their assignments and conduct research on new technologies using such online resources as trade journals, company websites, and the U.S. Patent and Trademark Office, and by interviewing experts. Because the students use university-owned resources such as subscriptions to electronic journals and because the company is owned by Hopkins, HTCA has a much lower overhead than private consulting firms and can charge less for services. 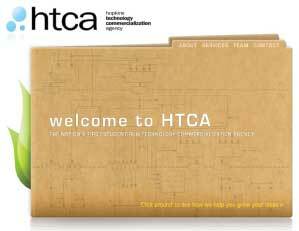 An average 20-page report, for which HTCA charges $500, takes about 25 hours to complete. And the company’s clients are happy, too, says Marybeth Camerer, HTCA’s former advisor who until recently worked as assistant director in the Center for Leadership Education at Hopkins. “The clients we’ve had have been very, very pleased with the work the students have done,” she says. Future plans for HTCA include attracting more clients from outside Hopkins and possibly expanding to offer other business consulting services, Virani says. For help spreading the word about the company he looks to HTCA’s founder Alex Nisichenko ’07, who now works as a business analyst for a major management consulting firm. Nisichenko was recently invited to talk about HTCA at a conference and says his audience members were very impressed with the low-cost model for technology transfer research. In fact, response to HTCA has been so good that Nisichenko says he’s been contacted by another university about how it can set up a company like HTCA. “I would not be surprised if there are copycats popping up in the near future,” he says.